than a decade, no user has any illusions as to why. Advertising buys space and tries to reach readers. As another example, for many years US cellular carriers came close to giving away handsets to customers (until expensive smartphones reduced the practice). Buyers knew these subsidies came with two-year commitments, and buyers could anticipate giving the carrier high service fees. honor. Office coffee pools frequently use honesty boxes as well. What about the online world? There have been experiments with online honesty boxes. The lessons are quirky, but too interesting to ignore. Today’s column describes two—one from Radiohead, and another from Cards Against Humanity. Some background may help. Radiohead, a British band, makes music in the genre typically labeled “alternative.” The genre tends to stress themes such as alienation, not puppy love, if you catch my drift. Radiohead’s best songs are moody, thoughtful, layered, and complex. Formed in 1985, Radiohead took many years to reach commercial success. After it signed a record deal with EMI, it produced its first album, Pablo Honey, in 1993. A decade later, Radiohead found itself in a situation that most musical acts rarely experience. Most bands get one or two major hits, if they are lucky, and little else, so their labels are happy to drop them before their contract expires. Radiohead, in contrast, had made all six albums promised to EMI. The band still had a large following, and still had the potential to produce more music. The band members decided to make and distribute their next release without EMI. Such an independent turn would have marked an experiment by itself. The band did not stop there, however. The band announced their pricing plan for their next album, In Rainbows, on 2 October 2007. 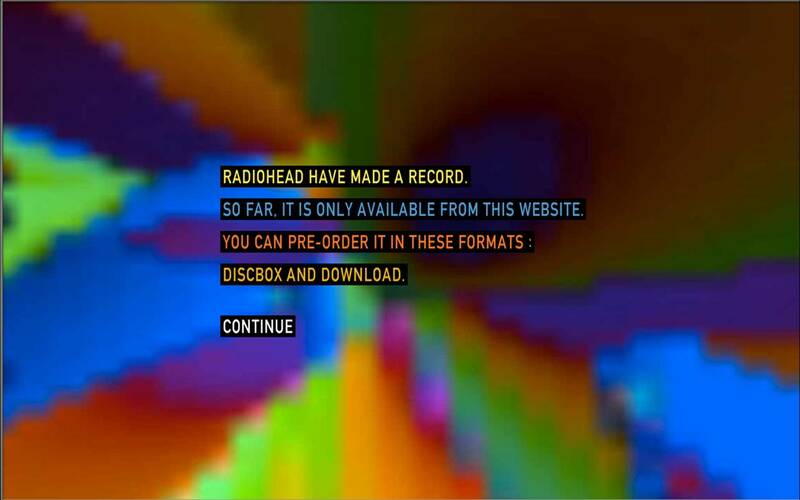 They said that on 10 October, they would make In Rainbows available for download, while the CD would come later. The music would be available exclusively on the band’s website for a month. While this method would yield songs of lower fidelity than what a CD would deliver, it was good enough for many listeners. The band also made available a special box set. Users could preorder the special CD or wait for the digital album to go up. In either case, the band’s website asked for two things—an email address and payment. The payment for the download, however, was an online honesty box. The user could pay any value, including zero. 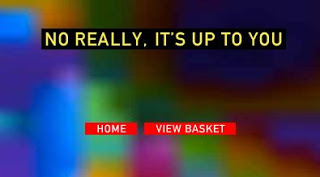 The website said, “It is up to you. It’s really is up to you.” On the surface, this looked like suicidal business from a bunch of artists gone mad. There was more here than meets the eye. The band’s manager confessed at a 2011 appearance on The Colbert Report that the giveaway helped boost CD sales and make money. How could that be? Consider the band’s take from a CD. Compare it with their take from online downloads. The band members, who often take on the role of composer and performer, have a right—under copyright law—to a piece of the revenue from selling music. To be sure, they are one of many with such a right. Retailers and record labels also get a cut. While the details behind Radiohead’s deal with EMI are not known, if it looked like a typical deal, then the music writers would have gotten approximately 5 percent of revenues, and the performer 15 percent . Hence, the band’s typical cut from a $15 album would be around $3. 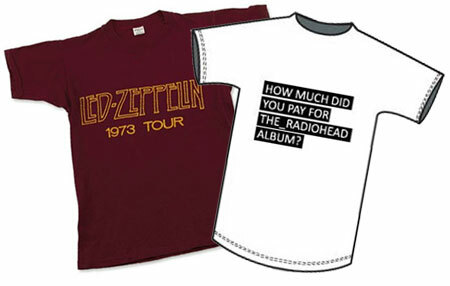 Put another way, Radiohead didn’t have to get nearly as much money from a free online giveaway. They just had to beat 20 percent of a typical album price by a little bit, enough to cover the costs of doing the download on the website. All the evidence suggests they met this benchmark. ComScore estimated the returns from those it followed. It estimated that 60 percent of US users put in nothing, while the average contributor gave $8.05. In other words, on average, Radiohead collected more than $3.23 per download in the US. The numbers were a little lower worldwide. The benefits did not end there. Radiohead collected over 1.2 million (worldwide) e-mail addresses in 29 days, and from some of its most passionate listeners. The band also did not hurt its reputation. The honesty box came across as fan-friendly. Nontrivially, the music on the album also was quite good (to its many fans, albeit that is a matter of taste). 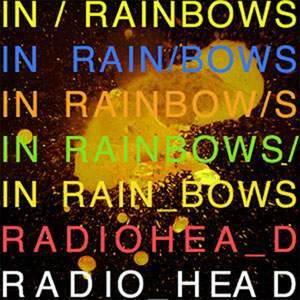 In Rainbows included the hits “Jigsaw Falling into Place,” “House of Cards,” and “Bodysnatchers.” That translated to CD sales in December, and to concert ticket sales later. A skeptic might say that the band would have gotten as much concert and retail revenue with a conventional approach. That alternative is untestable, since we can’t rerun history. At most, it appears that the honesty box didn’t hurt Radiohead’s bottom line. The Radiohead experiment received considerable publicity from the music world. Numerous additional experiments followed. Nine Inch Nails ran a series of download programs. Prince gave away an album in a newspaper. Efforts to raise money for Haiti also used honesty boxes. In perhaps the most “half-baked” twist, Panera Bread ran a few stores with honesty boxes, donating some proceeds to charity. That was where it stood until December 2012, when Cards Against Humanity added a new chapter. You may have heard of this game. It’s not designed to be played in grandma’s presence—unless she happens to like salacious, blunt, and scatological language. It parodies a kid’s card game called Apples to Apples. Instead of innocent cards and questions, however, its cards contain sarcastic, droll, and offbeat humor—sentences and questions that appeal to the sensibility of nerdy adolescent men. 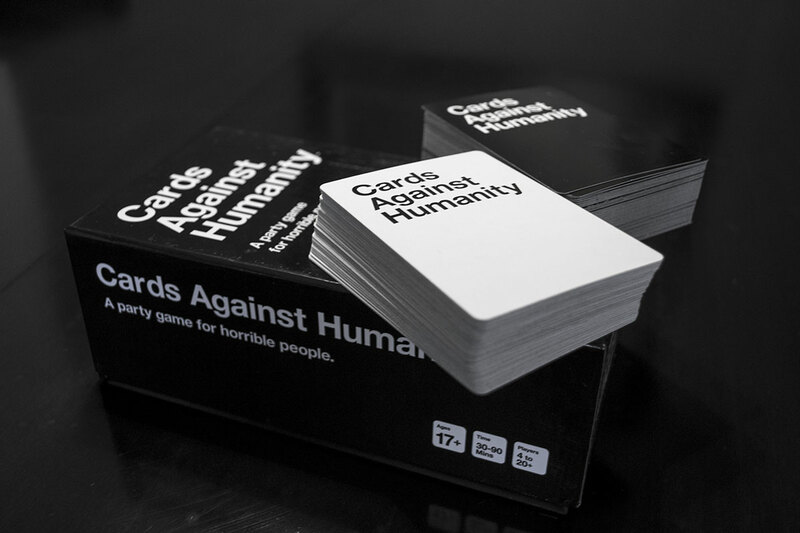 The creators of Cards Against Humanity love to flaunt their unconventional approaches. First developed through Kickstarter, it spread by word of mouth, and became publicized on Reddit. Today it has many loyal followers (in spite of, or due to, the irony of its countercultural appeal). The game’s creators had experimented with users’ honesty before their latest experiment. Any user can download the entire set of cards for free under a Creative Commons license. The creators are not total business dopes, however—a packaged set is also available. The $25 expense apparently does not bother many people, and, accordingly, the founders can pay their rent. The game’s website also flaunts the game’s evolution over time. It solicits user suggestions for new cards. It also makes new cards available from time to time to keep the game fresh and original for its most frequent players. In early December, the site made available a new set of cards for the holidays, and announced it would donate the profits to a charity (in this case, Wikipedia). The website then set up an honesty box that defaulted to $5, but let the user name any price, including zero. What happened? The website sold 85,000 packs, which was all that were available. More than half of the users paid $5, and 19.8 percent paid nothing, averaging $3.89 per pack. Then the company donated $70,000 to Wikipedia, showing the revenue and costs breakdown on its website (http://www.cardsagainsthumanity.com/holidaystats). What was the point of all the effort? First, the publicity reinforced the website’s countercultural street-cred. Second, the stunt attracted attention, and site traffic soared. I would bet the new traffic led to more sales of the core product. Third, the gamers raised money for charity, an accomplishment in and of itself. The site founders claim to be grateful to Wikipedia. I will take them at their word. As before, a skeptic might say a conventional approach would have worked as well. In this case, that seems unlikely, since this is a niche product that faces challenges getting any publicity. At worst, the site gave up $70,000 for additional sales and goodwill—not a bad deal for a small enterprise. Using an honesty box contains many hidden angles. It might produce some revenue directly, but often its primary effect is to reinforce some other revenue source. It can be particularly valuable for building goodwill among loyal users. Many questions remain. How would an observer measure the spillover to other revenue streams? And is monetary reward the only way to measure success, especially with artists? Can this work only when a website has a loyal set of users? This style of pricing should still be considered an experiment. A nice summary of the appeal of letting customers set price… A radical new pricing process, a sort of Honesty Box, or Pay-What-You-Want (PWYW), on steroids, can significantly increase the total revenues — and profits obtainable by letting the customer set the price. PWYW has appeal, but the problem is that it is hard to get enough people to pay fairly enough.